According to a recent report from Global Market Insights Inc. carbon fiber composites are in strong demand from the aerospace, defense, and automotive industries. 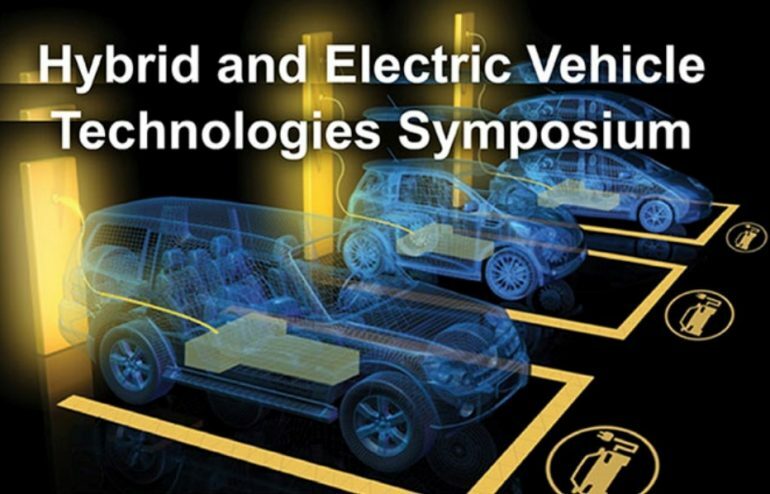 Lightweight materials in vehicles reduce fuel consumption. Other industries such as sports and leisure, robotics, and construction are also increasing use of composites. We should expect to see growth in composites through 2024. Greater durability, superior strength and stiffness, lighter weight materials, high impact resistance, shorter processing times and extended shelf life are all pushing these industries towards composites. As a result, more companies are trying to tackle and offer carbon fiber composite 3D printing. Engineers, designers, and manufacturers want to evaluate design concepts much sooner, make changes on the fly, and craft components that can’t be produced with conventional methods. They want to create faster and better ways to make strong, durable, and stable parts for prototyping and production. And they’re looking to do this all at a fraction of the cost of standard methods. In this article, we’ll examine one 3D composite printer that has become a key player in this race to composites with several innovations it has brought to the finish line. One printer that stands out from the crowd is Mark Two by Markforged. Yes, it’s a desktop printer, but don’t let that fool you. It was selected as one of 3D HUBS Best Prosumer 3D Printers for 2018 for exceptional build quality and that can produce high quality parts reliably. The price ranges from $5499 to $13,499. Let’s look under the hood and see just what makes the Markforged Mark Two a rock solid powerhouse. Markforged was the first to do something unique in 3D printing by using carbon fiber. It now has the potential to change the way functional prototypes, tools and fixtures are built and low-volume production end-use parts are made. First of all the Mark Two is a sleek, minimalistic, aluminum-cased printer that is 22.6” x 12.7” x 14.2” in size. It can be set up through USB, Ethernet or WiFi right in your office. The build volume is 12.6 x 5.2 x 6.1” which is larger than typical desktops offering more flexibility for printing. The Mark Two is the world’s first 3D printer to print composite materials. It’s the only affordable 3D desktop printer that reinforces plastic materials with composite fibers while printing. This gives them a high strength to weight ratio. With these options, you can choose the combination of fiber reinforcement and plastic to print parts used in many areas of manufacturing. You choose the best materials for the requirement needed like strength, weight, temperatures, and flexibility to name a few. Here is where Markforged sets themselves apart. The Mark Two is the only 3D printer that embeds continuous fiber strands into the micro-carbon reinforced plastic in just one construction process. This technology is different than other fiber composite 3D printers. Layers of fiber are deposited alongside the plastic. But instead of short, chopped strands, they developed a method to print layers of a continuous fiber strand. This is what enhances the stability and parts are stronger, stiffer, and can with stand greater impact like metal. It’s the only printer that enables you to go from CAD to strong end-use parts in hours. Eiger is not just software it is a system. It enables engineering and design decision-making along with branching and version-management tools for experimenting and innovating. Eiger takes it to the next level by allowing the user to manipulate the layers and sub-layers. A hardware review by DEVELOP3D, shows examples of how the user can manipulate the software similar to industrial composites design. The user can define the number of boundary layers and density. But they also can choose the fill-in of continuous fiber strands within the layers to reinforce the strength. The first is concentric, which is one continuous strand forming rings from the outer boundary or walls of the model. This reinforces the walls and resists bending around the Z axis. The second option is isotropic or linear fibers. It fills the complete layer with a single strand in a linear pattern and the user has control over the angle of the pattern. The linear pattern resists printed objects to bend in the XY plane. Third, is to combine concentric with linear. The user has full control over the layers, the rotation, and number of rings. The Mark Two can be used in several ways. Evaluate design concepts and make engineering decisions. Craft components and parts that can’t be produced with conventional methods. Create incredibly strong production-ready end-use parts and get products to market faster. Create on-the-fly replacement parts in hours that require more strength than a typical 3D printer is capable of as in jigs and fixtures. The Mark Two has made its mark on 3D carbon fiber composite printing. We’ll be following future developments with the Mark Two and other options in this space. Carbon composite 3D printing is only growing in demand. Industries such as aerospace, defense, and automotive in particular are looking to produce lighter weight and stronger equipment for more efficiency and better fuel economy. 3D composite printers can drastically change the engineering, design and manufacturing processes. The Mark Two by Markforged is a 3D desktop composite printer that has become a key player in this race to carbon fiber composites. The Mark Two sets itself apart from other 3D printers with it’s unique Continuous Fiber Fabrication (CFF™) and plastic materials of nylon or Onyx reinforced with composite fibers such as carbon, fiberglass, Kevlar®, and HSHT Fiberglass while printing. As a result of this unique technology, The Mark Two parts are stable, incredibly strong and stiff, and can withstand greater impact like metal. It’s an affordable 3D desktop printer with industrial quality made for engineers and manufacturers. We’ll be following future developments with Mark Two and other options in this space. 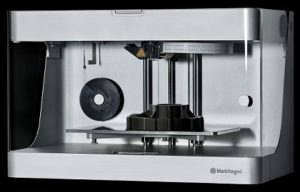 Click here for more information on the Markforged Mark Two printer. Need more 3d Printing materials? Contact us.